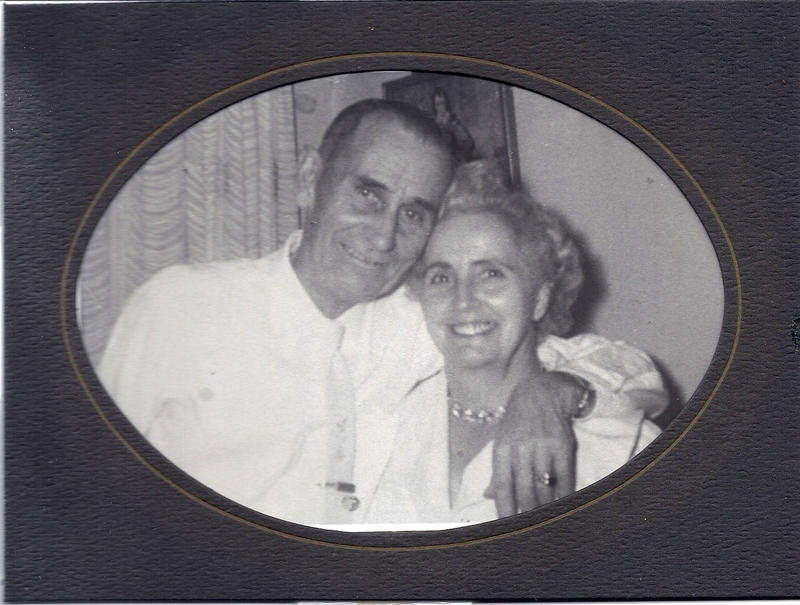 When my grandparents were married, on December 24, 1927, our country was in a recession, and money was scarce. My grandfather had a matching set of Sixguns that he loved, but he loved Grandma more, so he sold those guns to get enough money to pay for the wedding costs and get Grandma a ring. He was never able to get them back, but always felt that he got the better end of the deal. Since times were tough, Grandpa decided to forego a wedding ring for himself so that Grandma could have one. He wanted a wife and family more than a ring. His instincts were good too since they were married 52 years before Grandpa went home to be with the Lord. Their marriage was blessed with 9 children, and countless grandchildren, great grandchildren, and great great grandchildren. One day, years later, when their second child, my Aunt Virginia, was 8 to 10 years old, all the children were playing outside. Aunt Virginia went exploring at the side of the house, between Grandma and Grandpa’s house and Great Grandma’s house, where there was a flower garden. She looked down, and there in the garden was a man’s wedding ring. It must have been dug up during garden work. Excitedly, she picked it up and ran into the house to show it to her parents. Grandpa looked at it and told her it was a beautiful ring. He put it on his hand, and looked at it. Then he took it off and gave it back to Aunt Virginia. She said, “Daddy, you should keep it.” He said he couldn’t, but she insisted, and that is how my grandfather got his wedding band from his daughter. 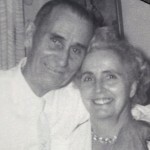 Aunt Virginia was so pleased to be able to give her dad the wedding ring he had never had and would not be able to buy for himself, as there were too many other things that his paycheck was needed for. And Grandpa was so pleased that she wanted him to have such a beautiful ring. He wore the ring proudly for the rest of his life. And everyone in his family was very please that he had been blessed with the ring.